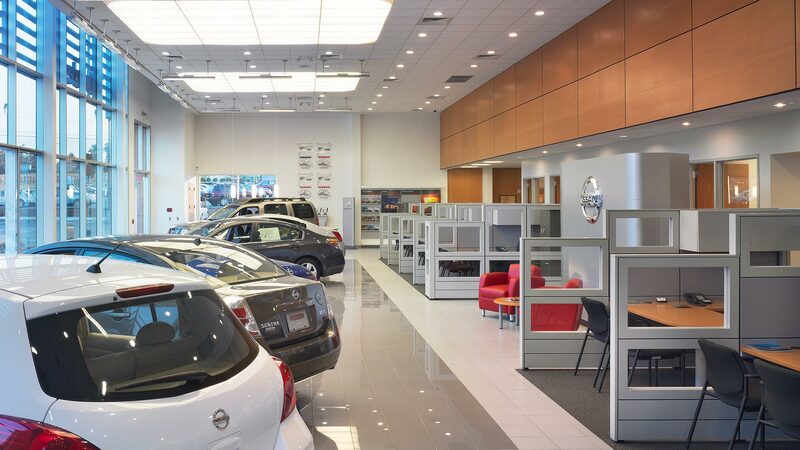 Modern Nissan purchased an existing, vacant automotive sales and service facility adjacent to their existing facility, in order to expand their service department and meet Nissan’s space and image requirements. 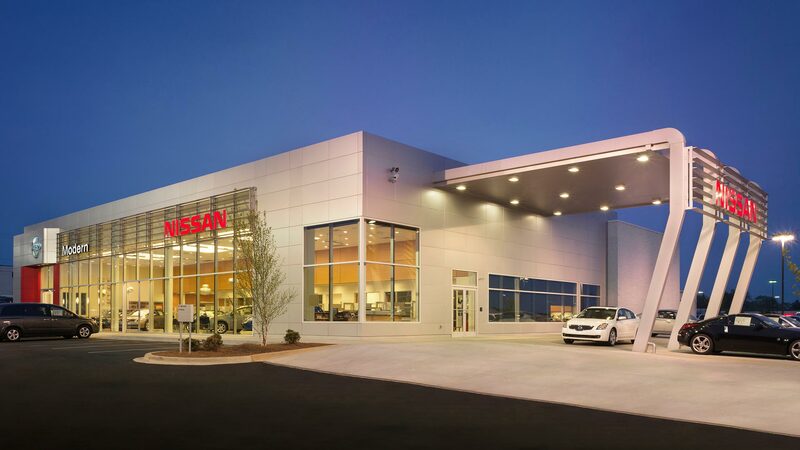 Modern Nissan turned to Redline Design Group to help them develop a design that satisfied all of the Nissans requirements, but also met the owners requirements to have a great presence to Hwy 29 while reusing as much of the existing structure to help stay within budget. 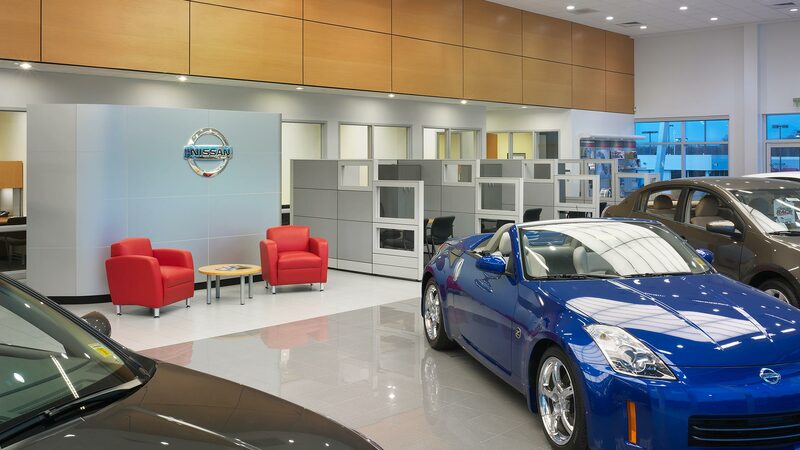 Based on the state of the existing structure, this project required the demolishing the existing showroom and parts areas to allow for the construction of a new state-of-the-art showroom/office area, service reception lanes and a two story parts area.